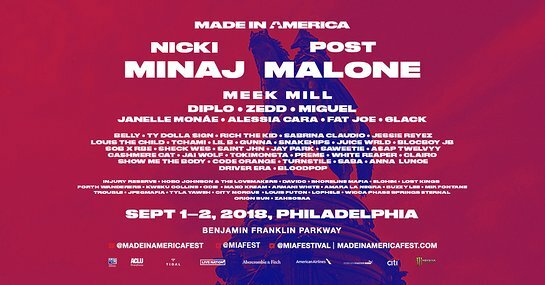 Citi is the official presale credit card of MADE IN AMERICA. As such, Citi cardmembers will have access to purchase presale tickets beginning Tuesday, June 5 at 10am ET until Thursday, June 7 at 10pm ET through Citi’s Private Pass program. For complete presale details visit www.citiprivatepass.com. Jay-Z presents "Water for Life"